Hoedspruit is often seen as a “quick-stop” or “passer-by” town. Tourists and locals will quickly pop into town to get groceries for their camping trip or stop by for a quick breakfast on their way to the Kruger National Park. What people often don't know, is that Hoedspruit and its surrounding areas offer some of the best adventures and experiences in nature. Not to mention some of the best views! Coming from big cities such as Johannesburg, driving through the citrus farming areas and coming into a small town like Hoedspruit may seem meaningless. Even arriving at the small Eastgate Airport makes one feel like you're in the middle of nowhere, which is great if you want to get away from the rush of life! But, for those new around town or those who wish to discover more, here is a little insight into the fun “Hoedies” has to offer – for the young and the old. For the more adventurous kind, many activities come to mind. Looking at Hoedspruit through the eyes of a pilot, for example, provides a perspective of the African bush that few get to see in their lifetime. 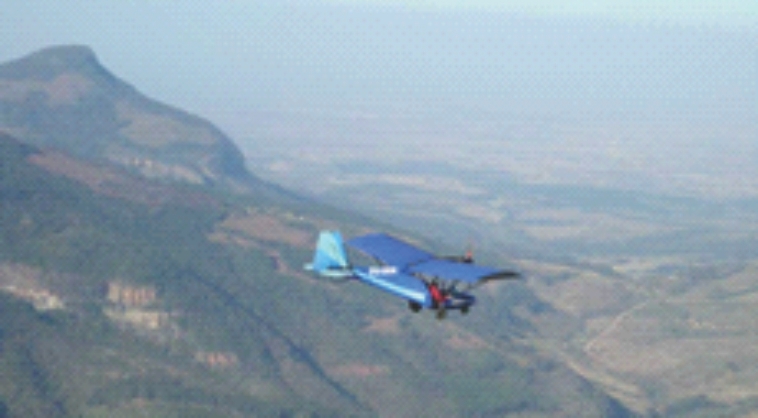 Leading Edge Flight School provides a 'bird's eye safari' over the Greater Kruger Area. You could also see the largest green canyon in the world from above, the Blyde River Canyon. Not only can you view the Canyon from up high, but the Canyon offers numerous adventures that are not pricey and are fun for the entire family. A slow walk to the waterfall at Swadini boasts a spectacular forest-type atmosphere. Take the kids for a picnic and/or a swim. For those craving more, there are five 'layers' of waterfalls, which provide the adrenalin some seek while climbing steep inclines. No bookings are needed for this trail, however, the trail will be closed until the 3rd January 2019 due to the filming of the exciting show “I'm a Celebrity, Get me Out of Here”. Another must-see waterfall is that of the famous Kadishi Tufa waterfall – for locals, this is the waterfall you see at the Strijdom Tunnel. 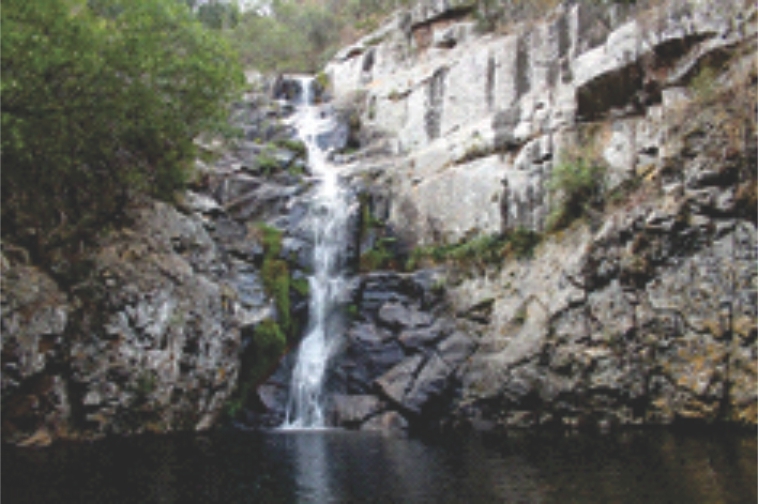 The Blydepoort Resort offers the Kadishi Trail which meanders through the ravine and offers numerous waterfalls along the way. Very romantic. 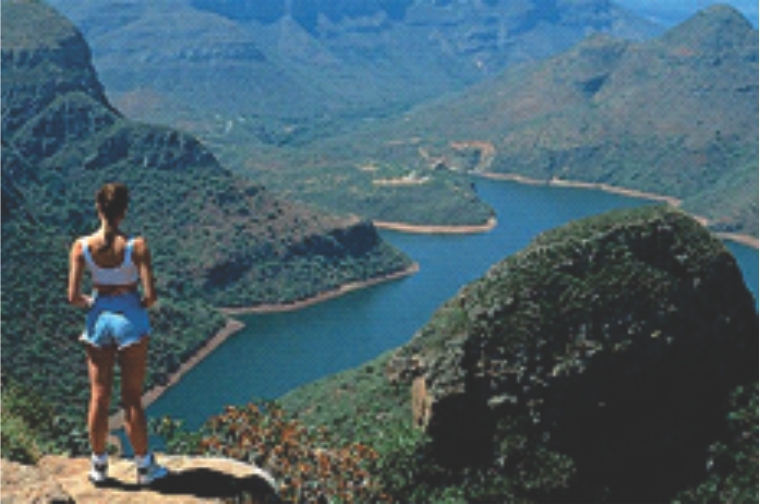 Other hiking trails, such as the Hippo Trail, will take you to the top of the Blyde River Canyon, making you feel as though you are on top of the world. Your camera will be needed for this one – the scenery is out of this world. For those who like to keep fit and work off the pounds from Sunday lunch, every Saturday Thirsty Giraffe Pub & Grill hosts a Park Run – this could be a fun-run in which the kids can join in or one could be competitive and go for the win! Thereafter, a good, hearty brunch can be enjoyed. 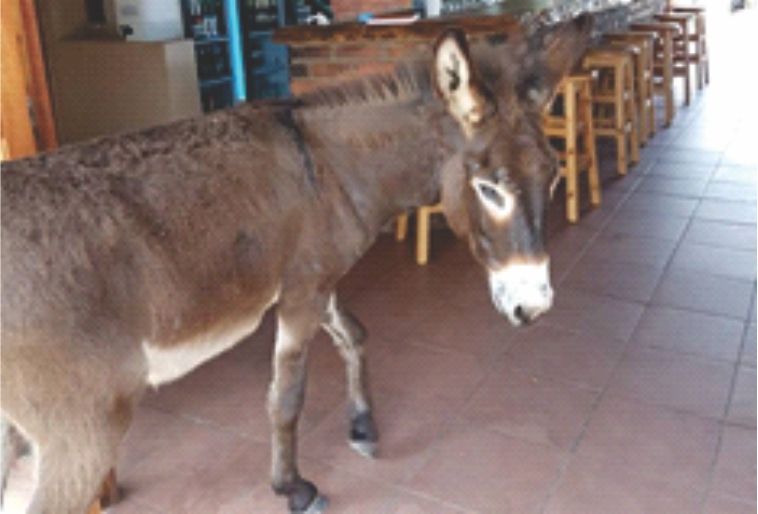 Harry, the Dusty Donkey. may even come join you. For those who prefer to relax and rest on their time off, there are a few local markets around town. 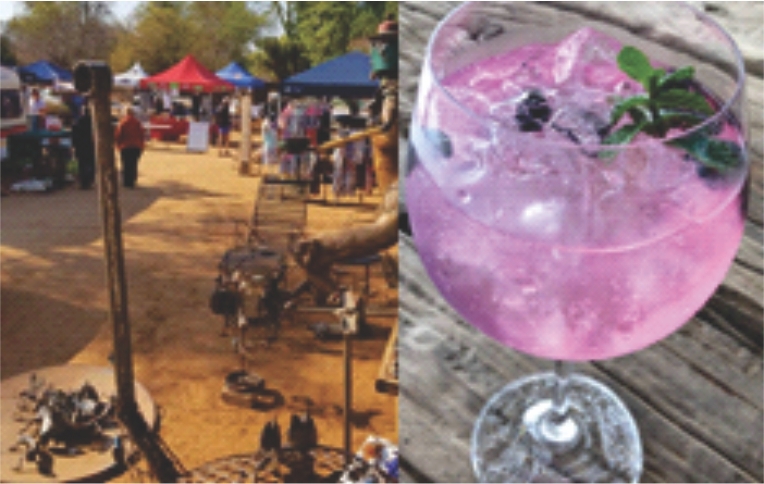 The Hoedspruit Farmer's Market is a calm outing which provides something for all to enjoy – scrumptious food stalls, creative art décor, traditional dancers and even arts and crafts for the kids. The whole family can enjoy a delicious breakfast at the well-known Cooked Restaurant or adults can savour a tasty Gintail at the Safari Wines Club. To the family who is more easy-going but would like a unique experience here in the bush, African Dream Horse Safari offers horse trails where the tranquillity of the surrounding bushveld and riverine will leave you in awe and amazement of our beautiful country. After a busy start to your journey of discovering “Hoedies”, you may want to consider a day of relaxation. Leave the boys at home – they could go and enjoy a golf day at the Drakensig Golf Club and do boy things while you go off to pamper yourself with a luxurious spa treatment. Or heck, why not a spa day with the girls? In such a small town, there are numerous spas to choose from. One of which, the Godding & Godding Day Spa, promises to relax your body, mind and soul through sheer pampering while overlooking the stunning Drakensburg mountains. To finish off your stay here in 'Hoedies', why not spend the time taking in the spectacular views and eating some of the best food in town? Blue Mountain Restaurant allows you to wind down, take in your surroundings and reminisce on all your experiences you have had in this heavenly place. Even a pleasant walk down to the river will ensure your first days here with us end off with utter joy and fulfilment. Hoedspruit has a knack for leaving an imprint on one's heart. After being in this quiet, yet exciting town, you will not regret your move; you will want to explore and discover more. Who knows, you may convince your family to move down here into a house surrounded by nothing but the African bush, without a sound. What better lifestyle is there? A more serene lifestyle for yourself and your family. You might even consider settling here, away from the rush and hustle of the big cities. There are always ample properties suitable for every different family. Century 21 Wildlife Properties is then your number 1 place to go! Have a safe and merry festive season!